"Dominic makes it look easy," ... "He is a very safe pair of hands. He is very calm. He is resolute, he has courage and determination. He is steadfast; if you are in a crisis, you want Dominic by your side. He is strong throughout and he will not let you down." 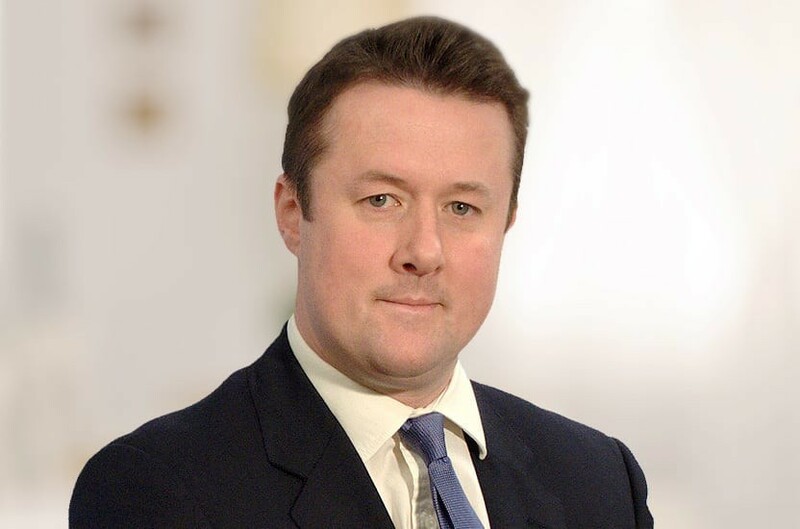 Dominic Crossley is a Partner in the Litigation Department who handles a wide range of sensitive and significant disputes on behalf of private individuals and commercial organisations. He joined Payne Hicks Beach in 2014. Dominic is particularly well-known for handling disputes for high profile individuals. He is a leading practitioner in the law of privacy/breach of confidence, defamation and harassment but his work encompasses numerous other areas of the law and practice so as to achieve the right outcome for clients. He has acted for well-known actors, leading business people, prominent politicians, musicians and sports people. In addition to his legal advice he brings experience in managing press interest on a pre-publication basis together with all forms of media including TV and online media. In addition to his reputation in media litigation, Dominic’s background is in commercial/civil litigation and he has handled high value disputes on behalf of large corporations, educational and sporting institutions, public sector bodies and entrepreneurs. Cases include those relating to breach of contract, judicial review, breach of trust, professional negligence, breach of warranty and intellectual property. He has acted in regulatory disputes, both in sport and other sectors. By its nature, much of Dominic’s work is confidential however recent instructions that are in the public domain include the Leveson Inquiry in which Dominic acted for all of the 53 “Core Participant Victims”. Dominic acted for Max Mosley in his ground breaking privacy claim against News Group Newspapers Limited and led his application in the European Court of Human Rights and claim against Google. Other privacy cases include phone hacking claims for compensation and injunction applications. Dominic is recommended in the legal directories and has featured as one of the Lawyer Magazine’s “Hot 100” lawyers. He is listed as one of the “Top Ten Reputation Lawyers” in the Spear’s Reputation Managers Index 2018. Citywealth Leaders List 2017 lists Dominic as a Leading Reputation Management Lawyer. Chambers and Partners contained the following comments: "Crossley's main strength is an ability to see the difficulties and traps and advise caution where necessary, combining this with a willingness to act aggressively and fast when his clients require it". He is noted for his "sound judgement", ability to "make clients feel they are in safe hands" and "great legal work and great client handling". "Dominic Crossley has a very relaxed but reassuring way with clients; he is very confident and professional" and in relation to defamation and privacy he is "one of the leading figures in this area". He is praised by his peers as "excellent" and "a model of courtesy". Sources say “he is respected and has been doing this for a long time” and “he knows the law inside out and is very good tactically at getting the best for his client”. Legal 500 UK: Dominic Crossley is a "class act" and “media heavyweight” who "fields a strong, professional and committed team". His "expert advice enables clients to navigate the stormy waters of reputation management", he is “very well acquainted with the latest issues” and is consistently praised for "outstanding levels of client care". He is "one of the best in the business". He is also recommended as part of the sport team having acted for numerous high-profile clients in the sports sector including individual sportspeople, teams and governing bodies, including the FIA, the world governing body of motorsport. Dominic writes numerous articles and contributions in the national and legal press. Many of which feature on the media law blog Inforrm.